Hello, and welcome to the return of Monday Escapes, from your new hosts; me, Daisy and the lovely Katy from Otis and Us. Firstly I would like to just take a minute to say a big thank you to the outgoing Monday Escapes hosts Lisa, Claire, Karen and Sarah, who I’m sure you’ll agree have done such a wonderful job of hosting for the past few years. Personally I have found Monday Escapes to be such a help and a place of inspiration since I started blogging. Not only has the sharing and exposure associated with this linky helped my blog develop, but reading all the wonderful posts linked up each time has provided such a great source of inspiration, both with developing my own writing and of course for adding to my ever-growing travel bucket list! Secondly it is only right that I introduce myself, and I know Katy will be doing the same across on her blog today too. 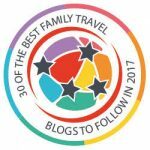 I’m Daisy and I blog here at Dais Like These which is a family travel blog. 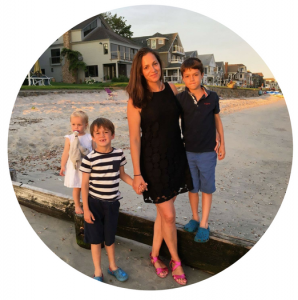 I am a mum to three cheeky little travellers and am based in Surrey in the UK. 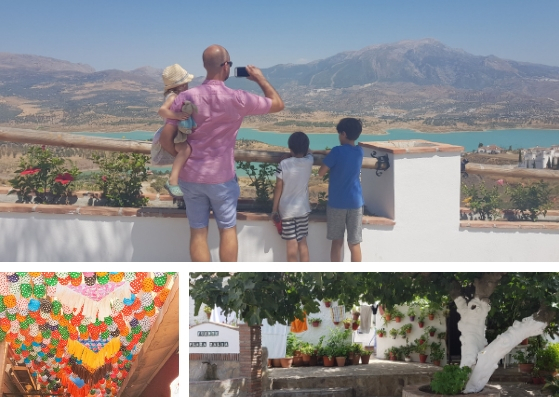 We love nothing more than heading out on our next adventure, be it close to home or further afield, and are not afraid to do so with our three kids in tow! 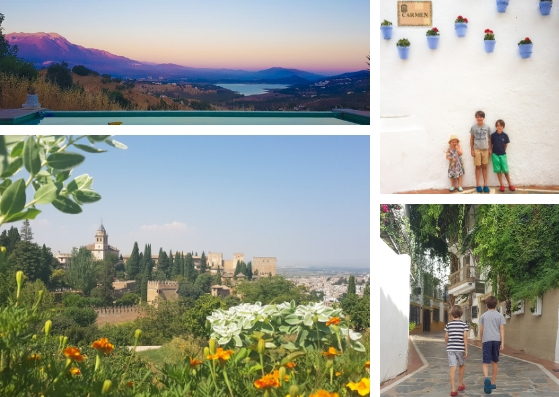 Our most recent trip took us to Andalusia in Spain, where we hired a car and took a bit of a road trip taking in the famous towns of Granada, Malaga and Old Marbella, as well as the stunning traditional whitewashed villages up in the hills, with a few Costa Del Sol beach days thrown in. I am really excited for the next chapter of Monday Escapes and I really hope we can do justice to what Lisa, Claire, Karen and Sarah have built up. I am looking forward to getting to know everyone in this lovely online community and can’t wait to welcome more and more bloggers as we go. A reminder: What is Monday Escapes? Monday Escapes is a place to share and look back at your favourite travel memories; from day trips, to trips of a life time and anything else in between. It doesn’t always have to be a written post, we would love you to share your favourite travel snapshots too. Monday Escapes is simply a place for you to link up with any travel experience that you want to share. The linky is now run by Katy at Otis and Us and myself here at Dais Like These. The top thing is of course that you’ll be sharing your lovely travel posts with a like-minded community and grabbing some travel inspiration for yourself. As a bonus you have a chance to have your blog post featured on mine and Katy’s blogs each fortnight, introducing your blog to even more people. We will also re-tweet anyone who uses the #MondayEscapes hashtag. We are also absolutely delighted that Lonely Planet have been kind enough to continue to offer our number one favourite blog post of the fortnight either a destination guide, or a title from the Lonely Planet Kids range. (See T&C’s below). Another great reason to link up with Monday Escapes! How does Monday Escapes work? • Comment on posts by the co-hosts and at least two others. Blog linkys only work if you share the comment love. That’s why they’re so great! Make sure you add #MondayEscapes to the end of your comment so people can see where you’ve come from. Monday Escapes will go live every two weeks, alternating between both Katy and I, and will be open Monday to Wednesday. Every fortnight we will be giving a shout out to some of our favourite posts and photos. There is also a MondayEscapes Pinterest Board – so if you’d like to start pinning some of your favourite photos, do get in touch. We have a spangly new badge for this new era of Monday Escapes! All that’s left to do is link up those wonderful travel posts of yours! We can’t wait to read them. T&Cs for the Lonely Planet winner: Each fortnight the hosts will choose one favourite posts from all those linked up. The winner will be contacted and will be able to choose either a Lonely Planet destination guide or Lonely Planet Kids title. https://shop.lonelyplanet.com/pages/guide-bookshttps://shop.lonelyplanet.com/pages/lonely-planet-kids This prize can only be sent to winners in the UK and Europe only. There is no cash alternative. Hosts’ decision is final. So lovely to see #MonayEscapes return! Wishing you all the best! I’ve tried to add the badge, but doesn’t appear to be working right for me?! Hi! Yes, I had a bit of teething problems with the badge this morning but it should be working now! Let me know if you still have trouble with it though (or feel free to just link to this post instead of having a badge). Looking forwards to reading you post! Ah brilliant – look forward to reading it!